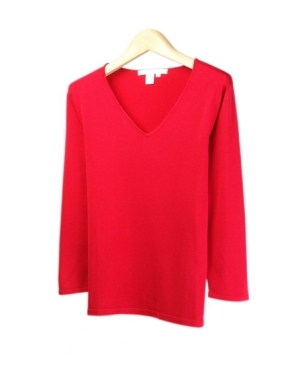 Our silk/lycra v-neck 3/4 sleeve sweater is a wonderful item for the spring season. 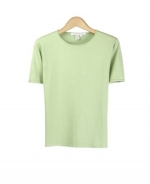 You&#039;ll love this shirt for its comfort, luxurious look, and versatility. You can easily match our basic sweater with any cardigan, jacket, and bottoms. 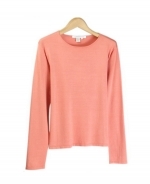 This top is an all year round must-have. Hand-wash or dry clean for best results. Available in 5 vibrant colors: Black, Coconut Brown, Hot Pink, Pink, Sky.